So the very next day I went on a BIG TEETHING SHOPPING SPREE! You name it, I tried it… anything to provide some sort of comfort or pain relief for my little one. Although I used all of these methods (not all at the same time!) usually a combination of them i.e. teething toy and teething gel, I still wanted to do more. So I turned my attention to using natural remedies. Being from Indian origin means I cook with herbs and spices, but herbs and spices can be used for more than simply adding flavour to meals, they have also been used for their medicinal properties for generations, and many of them are believed to contain natural analgesic properties to help relieve pain. After researching aromatic herbs and spices, and their natural health benefits, I began to understand which spices would be of most benefit to my little one, and began including various combinations within my little one’s meals in the hope that they would provide an extra little boost of pain relief (in addition to the traditional methods I had spent a fortune on). Every little helps right?! 1. 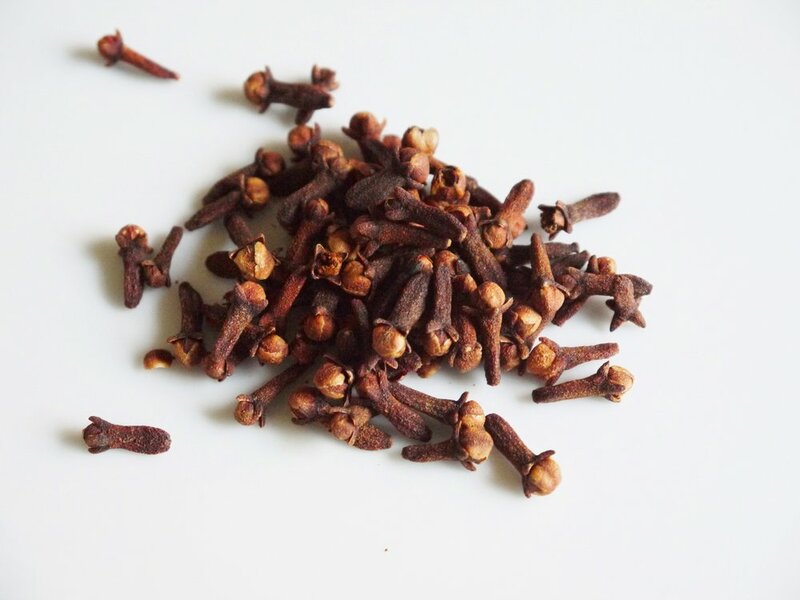 Cloves – dried flower buds of a tropical tree. They contain the compound ‘eugenol’, a powerful oil widely used within dentistry for natural oral pain relief. It is also used to add flavour to sweet and savoury cuisines worldwide. 2. Nutmeg – another spice which contains the oil eugenol. It offers a warm and spicy taste to meals and compliments both sweet and savoury dishes. 3. Cardamom – a flavourful spice commonly used within Indian cookery. Its analgesic properties can help to reduce pain in teeth and gums. It is also believed to cleanse the mouth for good oral hygiene. 4. 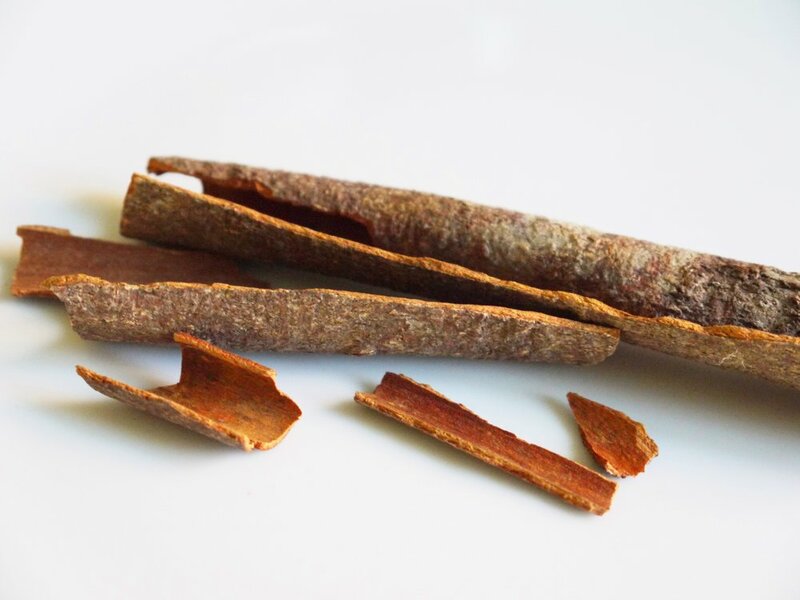 Cinnamon– A warm, woody, fragrant spice with a hint of sweetness. Great for cooking with, baking with or sprinkling onto fruit – apples and bananas. Contains a natural analgesic property to soothe pains. 5. Black Pepper – a common seasoning found in virtually every household. It too contains analgesic properties to help relieve pain in teeth and gums, and is believed to promote strong teeth. Try adding small amounts of these spices (in ground form) to your little one's everyday meals as I did to help soothe teething pains. Although scientifically unproven, many different cultures use herbs and spices for their healing properties. They strongly believe this works, and I'm inclined to agree. Give my Seasoned Sweet Potato Fries recipe a go for your little one. This recipe contains a combination of pain-relieving spices - nutmeg and cinnamon to help soothe teething pains. 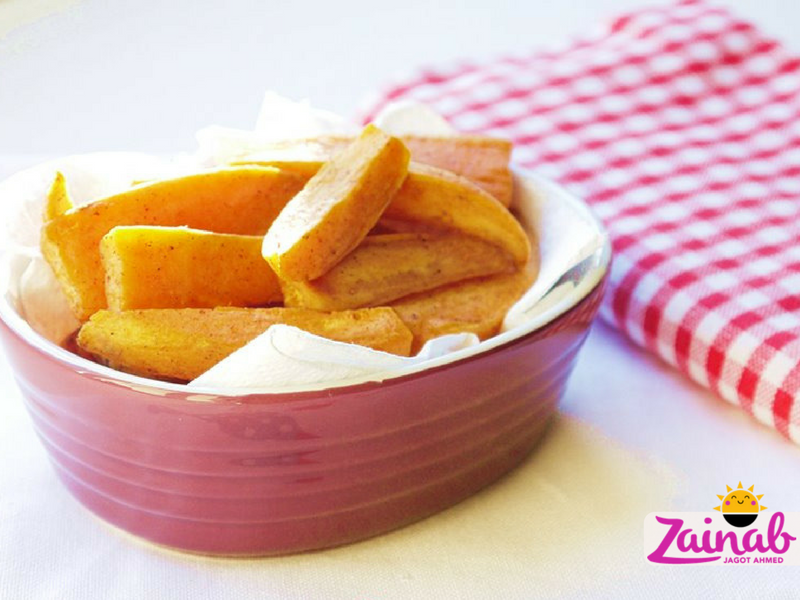 These baked fries are also great for baby-led weaning, as well as being yummy and great to chew on.